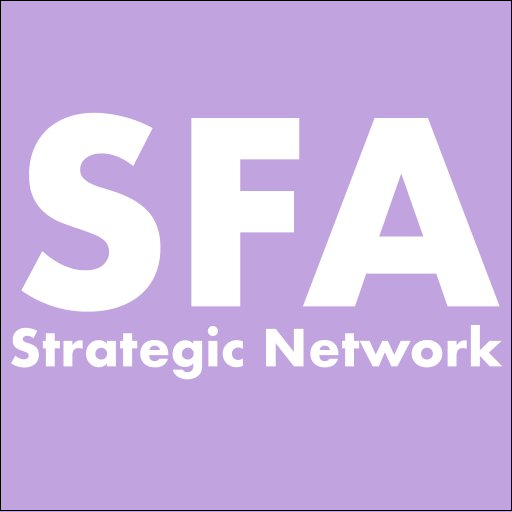 Our network is called “Sustainable Futures in Africa” or SFA. It has members from Botswana, Malawi, Uganda, Nigeria and the United Kingdom representing various disciplines, from educators to artists to administrators to NGO practitioners to scientists from various fields. Our common binding force is that we are critical thinkers who deeply care about research and practice in socio-ecological sustainability in Africa. This year we held our third annual SFA symposium in Lira, Uganda, in a rural location at a lodge that is completely powered by solar energy and sources locally made food. The idea was to “walk our talk” by trying to make our meetings more “sustainable”. On day one of the symposium, thirty-eight participants (members of SFA) rode in a bus from Entebbe to Lira on an eight-hour journey, which allowed us to engage in what we called “Bus Talks”. During these talks, we explored what the word “sustainability” meant to each of us. This word cloud is a visual representation of the vocabulary used in the discussions. We believe “sustainability” does not (and should not) have just one rigid definition. Hence, we explored the many definitions of this word, which is often overused loosely as a buzzword. SFA members like to keep a questioning, critical mind, and at the symposium, all members agreed that SFA is not an “echo chamber”. We welcome alternative ideas – in fact we thrive on them. This blog post doesn’t propose a new definition of sustainability, but highlights what SFA members care most about when we talk about this word. As a collective, we are trying to develop a deeper vocabulary, beyond the buzzwords that inevitably become diluted across languages, cultures, disciplines, and sectors. The most common definition of sustainability is in the document “Our Common Future” by the Brundland Commission in 1987: “Sustainable development is development that meets the needs of the present without compromising the ability of future generations to meet their own needs.” This document provided the ecological definition of sustainability. It also highlighted the fact that resources are finite and need to be preserved for future generations. Some of the key words and phrases suggested by SFA members during the “Bus Talks” that agree with the Brundland Commission’s definition were: “Ability to sustain populations”, “Balance between using and protecting resources”, “Benefit future generations”, “Caring for ecological system”, “Intergenerational”, “Maintain ‘everything’ for future generations”, “Only necessary use of resources”, “Present and Future generations”, “Preservation of resources” and “Resources not depleted for future use”. These words emphasize the meeting of needs, as opposed to wants, and place a clear focus on intergenerational equity. In the early 1990s, recognizing that sustainability affects most areas of human activity and is intrinsically complex and multi-disciplinary, scholars began to think about it using the systems approach. This highlights the linkages among population, environment, and development and examines the causes of environmentally unsustainable development. Looking at the world as a socio-ecological system and recognizing its linkages and inter-connections is something that SFA strongly believes in, and thus we promote inter-disciplinary work. During the Bus Talks, the linkages and words that support a systems approach included “Caring for ecological systems”, “Keeping the population at a sustainable level”, “Enhancing natural systems”, “Sustainable food systems” and “Sustainable production”. When discussing the meaning of a word, it would be remiss to not talk about its dictionary definition. Sustainability’s meaning in the Cambridge Dictionary is the “quality of being able to continue over a period of time” and “the quality of causing little or no damage to the environment and therefore able to continue for a long time”. Statements and key words from SFA members that echo this definition were “Being able to carry something forward”, “Continuity”, “Continuous output”, “Keep something going”, “Self-perpetuating without external intervention”, “Balance between using and protecting resources”, “Preserve resources” and “Preserving and balancing”. Engaging in meaningful discussions about sustainability during this long bus ride was not only a good use of SFA members’ time, but also helped us find the many meanings of a single word. Other keywords used by members which do not neatly relate to the definitions mentioned above included “Culturally appropriate”, “Community self-sufficiency”, “Diversity”, “Equality”, “Freedom”, “Harmony and balance”, “People in charge of their destinies”, “Happiness”, “Reflection”, “Preserving and balancing”, “Peace” and “Wellbeing”. One member summed it up as “Living in a community in a way that we could live forever”. All the keywords discussed here could be packaged as synonyms of “sustainability”. But for the SFA, sustainability is not just a concept or a word, and we have come to realize that it is too diverse to define. Perhaps the focus should shift from defining it to living it. Perhaps we need to look at it as a way to be aware and sensitive, to reflect, be critical, encompass wider contexts, and integrate these actions into our work and everything we do. Sustainability, like most complex concepts, is insufficiently represented by a single word, but should prompt us to reflect on what kind of world we want to live in and how can we contribute towards achieving that.